From assessing to zoning, MTA's workshops offer something for everyone. We provide more than 50 educational opportunities throughout the state each year. Topics range from the basic “nuts and bolts” duties of township officials to advanced policy issues that members face. Whether you’re looking for an evening program or a multi-day event, MTA has a workshop for you! Eliminate travel costs and schedule conflicts with this convenient, affordable option that delivers education directly to your desktop. MTA webcasts bring our training to your computer in your very own township hall, office or even at home. 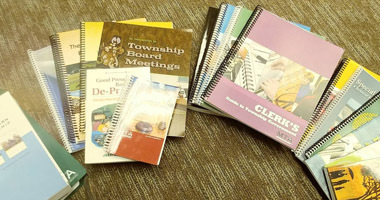 Register for events and shop our library of publications—featuring more than 20 township-centric resources, written specifically with township government in mind. From budgeting board meetings, special assessments to zoning, MTA publications cover the topics you need to know. To register or place an order, you must be logged in as a current MTA member or Allied Service Provider. Non-members may order by downloading a publication order form below. When you click on MTA Store, go to the box under "Featured Products" and indicate in the "Shop for" box if you're interested in registering for an "Event," purchasing "Merchandise" (books and products) or receiving "Subscriptions." For a specific topic search, go to the "Search for" box and type in your request. To order online, you must pay by credit card. If you prefer to be invoiced, please contact Emily at 517-321-6467 ex. 241. Call: (517) 321-6467 for online orders over $750. Fax: Print the order form and fax to (517) 321-8908. Mail: Print the order form and mail to Michigan Townships Association, PO Box 80078, Lansing, MI, 48908-0078. NOTE: Member rates apply only to MTA member township officials and employees, member counties and Township Allied Service Providers. *Standard shipping time is 2 to 10 business days. For expedited shipping, contact MTA. 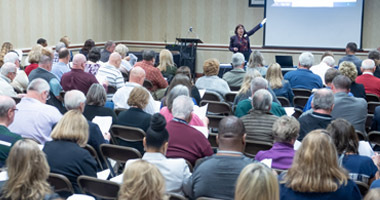 The education offered during MTA’s Conference will help you stay on top of the changes, requirements and demands expected of today’s township officials. Personalize your learning experience by choosing from more than 60 breakouts with topics designed for officials at every level, addressing statutory duties along with a wide variety of concepts, trends and current issues impacting townships. Join us for our 2020 Conference, coming to the Grand Traverse Resort & Spa in Acme Township on April 27-30, 2020. This full-day educational and networking event provides you the opportunity to learn the latest on legislative issues impacting townships, as well as interact with legislators and network with fellow township officials. A date has not been set for the 2020 event; please check back in the fall for more details! Are you a local government subject matter expert? 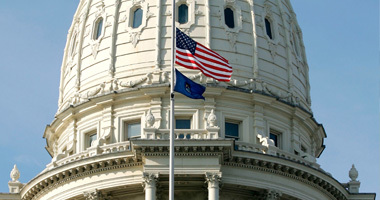 Do you have insights into trends or issues impacting Michigan's townships? 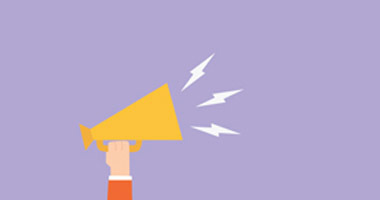 Share your expertise with MTA as a workshop or Conference educational session speaker, or as an article author for MTA's Township Focus magazine.